Product prices and availability are accurate as of 2019-04-24 14:54:11 EDT and are subject to change. Any price and availability information displayed on http://www.amazon.com/ at the time of purchase will apply to the purchase of this product. 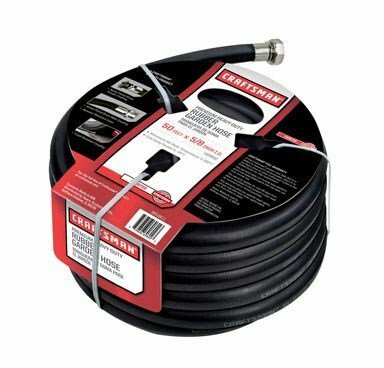 Hose Diameter: 5/8 in. Hose Length: 50 ft. 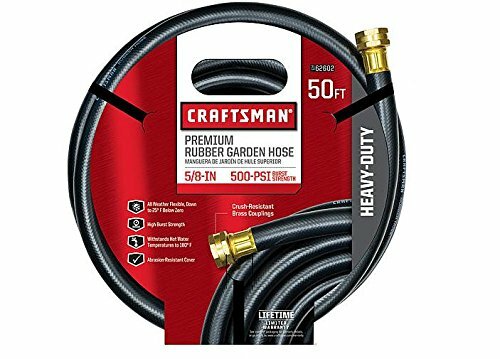 Hose Type: Garden. Kink Resistant. Burst Pressure: 500 psi. Grade: Premium. Hose Material: Rubber. Fitting Coupling Material: Brass. Crush Resistant. Color: Black.